Robert has enjoyed over 40 years of growing up, being educated, building a successful career, and living in Miami-Dade and Broward counties. He is proud to call South Florida his home and to have resided in several communities including Palm Springs North, Weston, and Pembroke Pines. He is equally proud to have also worked directly in the local communities of Plantation, Sunrise, Aventura, Fort Lauderdale, Kendall, Miami, and several other areas in South Florida throughout the years. Like you, Robert understands the importance of choosing a Real Estate partner that can be Trusted, is Knowledgeable, is Dependable, is Supportive, is Detail Oriented, acts with Integrity, maintains appropriate Confidentiality, is Passionate and Professional, saves you valuable Time, expects to make your experience as hassle Free and Easy as possible, and of course; Achieves your desired Results. Throughout Robert's career, the discovery he has made that is fundamental to a healthy business partnership, is to always put YOU; the customer and partner FIRST. This is achieved by fully understanding your needs by asking relevant questions, listening intently, taking detailed notes, acting with dedication towards your goals, displaying the amount of urgency you expect, consistently communicating and following up, and taking every step along the way with you. The successes that Robert has realized are attributed to the proven principles of always being honest, treating people with respect, never shying away from hard work, teamwork, taking advantage of continuous learning opportunities, understanding the value of money, and maintaining truly satisfied customers that will love to tell their own family and friends about their experience. Whether helping you sell your property, or assisting you in locating your new home, Robert will always guarantee his commitment towards all of the above habits and practices. You can expect to be treated as family and friends, and that your partnership with him will result in the level of success you desire. Prior to Robert's Real Estate career, he earned a Dual Bachelor's Degree in Management and Marketing. He enjoyed over two decades in Leadership roles in Customer Service, Sales, Negotiations, and Providing Solutions. 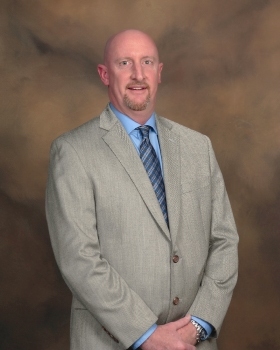 He excelled in positions including VP of Purchasing, VP of Retail Operations, District Management, Market Pricing Management, and Store Management with several highly recognized retailers. Robert's Experiences, Actions, Results, and Dedication to the Customer, will prove to make him a worthy partner of choice for you, and your loved ones. When not working, Robert enjoys spending time with his family, enjoys the competitive nature of sports, often can be found shooting hoops in local parks, and enjoys spending time working on, relaxing, and reading near his salt water reef aquarium. Please allow Robert and his team the pleasure of serving you in one of the most important decisions made in life; the selling and purchasing of Real Estate.